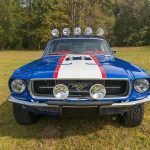 This year, racing analyst Rutledge Wood, Mike Finnegan of Roadkill, and automotive artist KC Mathieu (formerly of Discovery Channel’s Fast N’ Loud) embarked upon a rather unique classic car project together: building a “rowdy restomod” out of a 1967 Ford Mustang exclusively using parts sourced through eBay Motors. 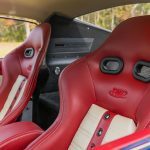 First and foremost, the build project was intended to showcase the fact that eBay Motors can be a powerful tool for the automotive restorer, making available most anything the DIYer could need to complete a custom automotive masterpiece. 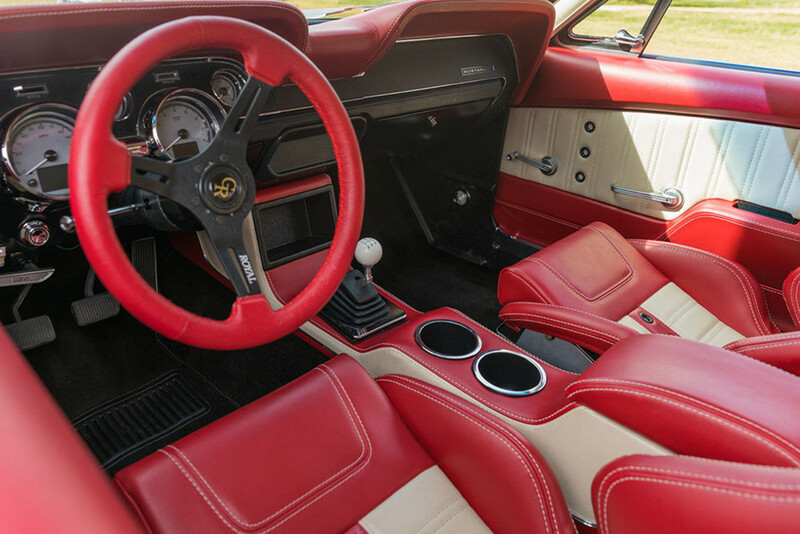 But in addition, the car ended up proving that there are plenty of funky, fascinating directions a custom build can take outside of the usual “pro tourer” flavor of restomod. 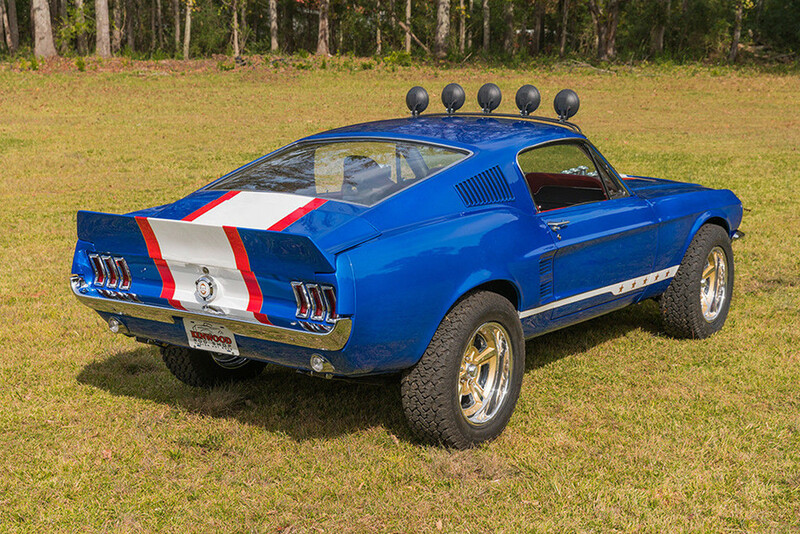 The guys started off with a 1967 Ford Mustang, purchased off of eBay Motors in very-used condition. They patched the cut-up floor with pans bought through eBay, and dropped in an eBay-sourced Ford Performance 427 V8. 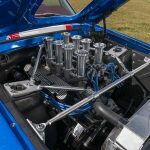 The engine’s Holley carburetor and Edelbrock intake were replaced with a classic-looking stack injection system from Inglese featuring polished Borla velocity stacks (again, purchased through eBay), and a fully-custom MagnaFlow cat-back exhaust was installed. The result is a whopping 535 naturally-aspirated horsepower, sent to the rear wheels by a 5-speed manual. 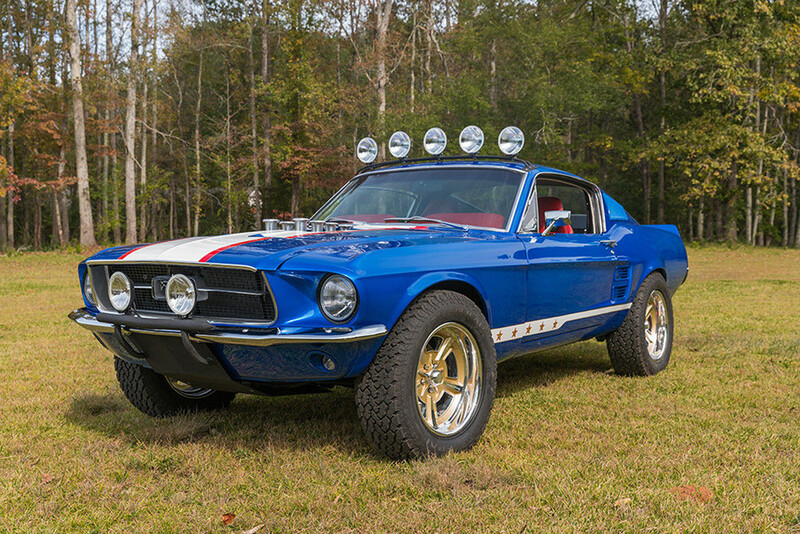 From its raised ride height to its roof-mounted light bar, to its star-spangled custom paint job and all-terrain tires, the rest of the car is just as unique. 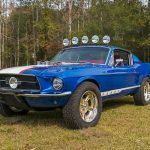 The guys wanted to make a rally-inspired pony car, so the front shock towers were moved down two inches from their original position to raise the Ride Tech StreetGrip suspension and give the ’67 Mustang better ground clearance. Custom American Racing VN526 wheels (18″x8″) wearing big General Grabber AT2 tires were bought and installed, and behind them, 6-piston Brembo brake calipers with drilled and slotted rotors. 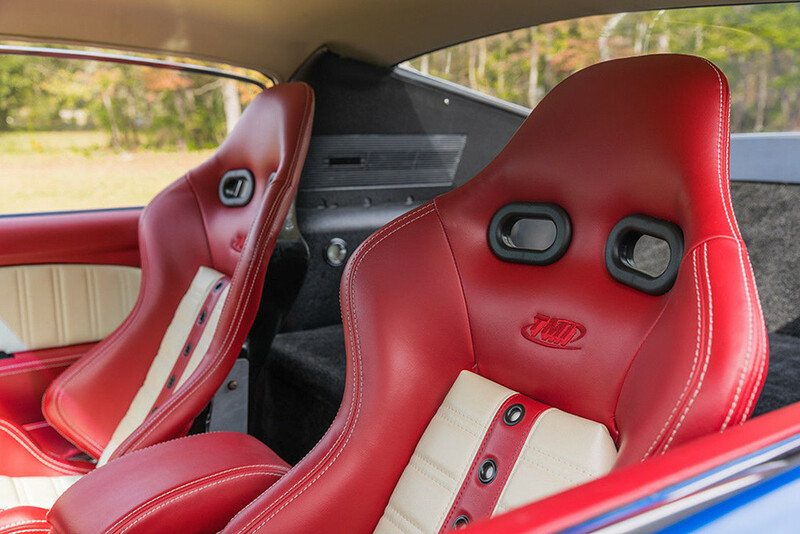 A beautiful, handmade interior from TMI Products, featuring red-and-white leather-trimmed racing buckets and a red leather dash cover, was fitted. 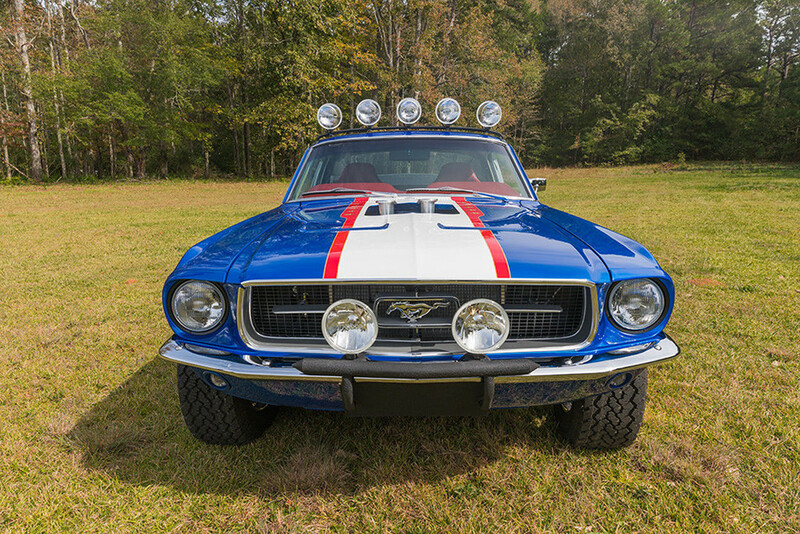 Much of the work was done by Randy Allgood and his shop, Kenwood Rod Shop, in Georgia. 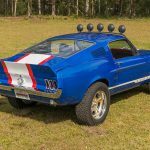 The eBay Motors “rowdy restomod” ’67 Ford Mustang was auctioned off online to benefit the Juvenile Diabetes Research Foundation, fetching a criminally-low sum of $55k. Considering the $22,259.09 cost of the donor car, and the estimated $142k worth of parts that have been fitted, someone just got very, very lucky on eBay Motors.